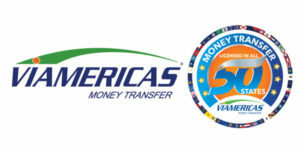 Viamericas is a #1 ranked* and licensed money transmitter offering international money transfer, bill payment, check processing and top-up services at thousands of agent locations across the United States, and over 40,000 locations in 34 countries for cash payout or direct deposits to bank accounts. Viamericas is authorized to do business in all 50 US states. Our online money transfer site and mobile app, Vianex, allow customers to safely, easily and affordably send money 24/7 from the U.S. to Mexico, Central and South America, the Philippines, India and other countries. Viamericas is proud to now offer its Vianex digital platform to partner companies who can now leverage the power of the Viamericas network around the world. Viamericas offers a full set of APIs that allow our partners to plug in to the Viamericas money transfer network of agents, partners and service providers all while maintaining full compliance. With one connection to Viamericas, you can offer your customers the world of remittance, bill pay, mobile top-up, and more.